What is the meaning of life? Throughout recorded history, humans have pondered this question. 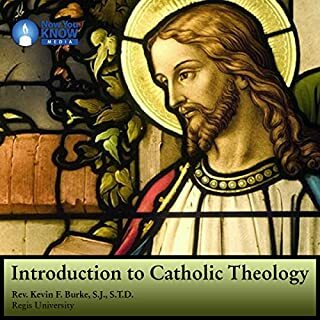 In Exploring Catholic Theology, a masterful course by Boston College's Fr. Harvey Egan, you will grapple with life's ultimate questions as you explore the Christian tradition. With the aid of Fr. Egan's exceptional teaching, you will discover deeper insights into general and individual Christian beliefs. 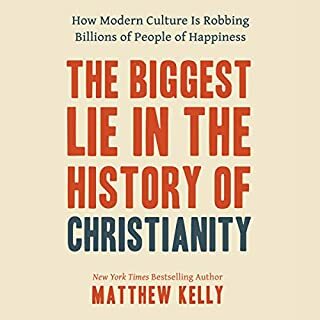 An award-winning theologian who received his doctorate under Karl Rahner, he shows you Christianity's heritage as a powerful whole. 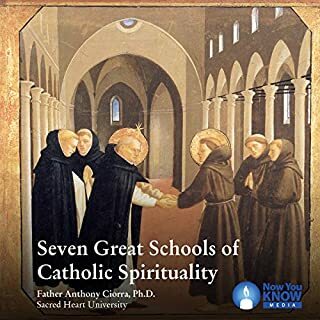 Presented by the University of Notre Dame's Dr. Timothy P. O'Malley (PhD, Boston College), this course guides you on an enlightening journey through every aspect of the Eucharistic celebration. Although it takes only an hour each week, the Mass is one of the most important ways Catholics profess their beliefs in Christian love and mercy. Now The Joy of the Mass lets you take leading liturgical expert as your personal professor anywhere and anytime. Grounded in the historical and spiritual developments of the Mass, Dr. O'Malley's 12 lectures will enrich your faith. Learn from award-winning professor and world-renowned theologian Fr. John Baldovin, SJ (PhD Yale), in this fascinating 12-lecture course on the liturgical seasons. Lent, Holy Week, and Easter commemorate the crucifixion, death, and resurrection of the Lord, Jesus Christ. These 13 weeks are fundamental to the liturgical year, and they are a time of vital importance to Catholics. During this time of sacrifice and solemnity, Catholics are called to reflect on the presence of Christ in their lives. Now, you are invited to join one of the world's leading liturgical scholars on this fascinating look at the vital seasons of Lent and Easter. Under the guidance of Boston College professor Fr. John Baldovin, you will discover the history, development, and practices of these holy seasons. First, you will look at the history of Lent. You will look at its origins, tracing how it has come to be celebrated as a 40-day season. After looking at the practices and spiritual meaning of Lent, you will then look at Palm Sunday and Holy Week, paying special attention to the Triduum (Holy Thursday, Good Friday, Holy Saturday, and Easter Sunday). Finally, you will learn about the 50-day season of Easter, including the Sundays of Ascension and Pentecost. Discover the significance of Lent, Holy Week, and Easter today. A very good guide during the Lenten & Easter Seasons. 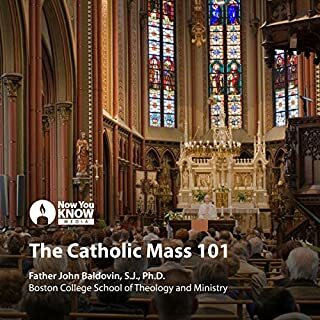 Best listened to at the start of Lent to help set the tone for the process of self-preservation and penance. 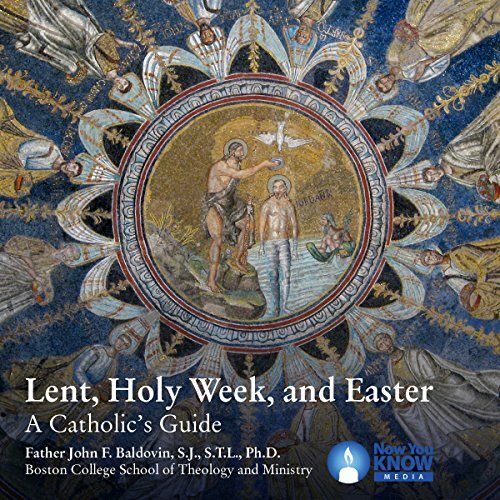 Lent, Holy Week, Easter: A Catholic's Guide was very infomative and a good journey during Lent. 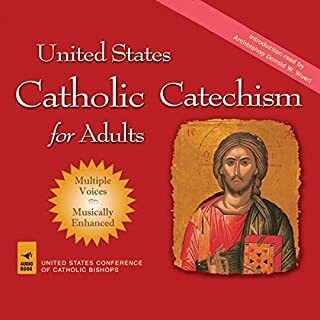 Note: I am “in the process” of the Rite of Christian Initiation of Adults (RCIA) and shall be coming into full communion with the Catholic Church this Easter Vigil. I thought this would be a nice introduction to Lent, and it is, but it is so much more. Church history and reformation of the liturgy is put into context, and the various rituals for catechumens and candidates during the Lenten season are interwoven into the whole. Fr. Baldovin is that rare scholar who is able to communicate his accumulated knowledge without dumbing it down. 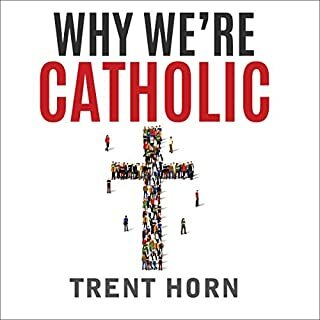 I recommend this book particularly to members of RCIA, their faith companions, and sponsors, but anyone at all interested in Catholicism and/or Lent will find it rewarding.